Rabieng Thai Restaurant: New Esan-Style Papaya Platters! Hi friends! Rabieng finally welcomes the fresh air of Spring with our new, refreshing & delicious deluxe Papaya Platters! 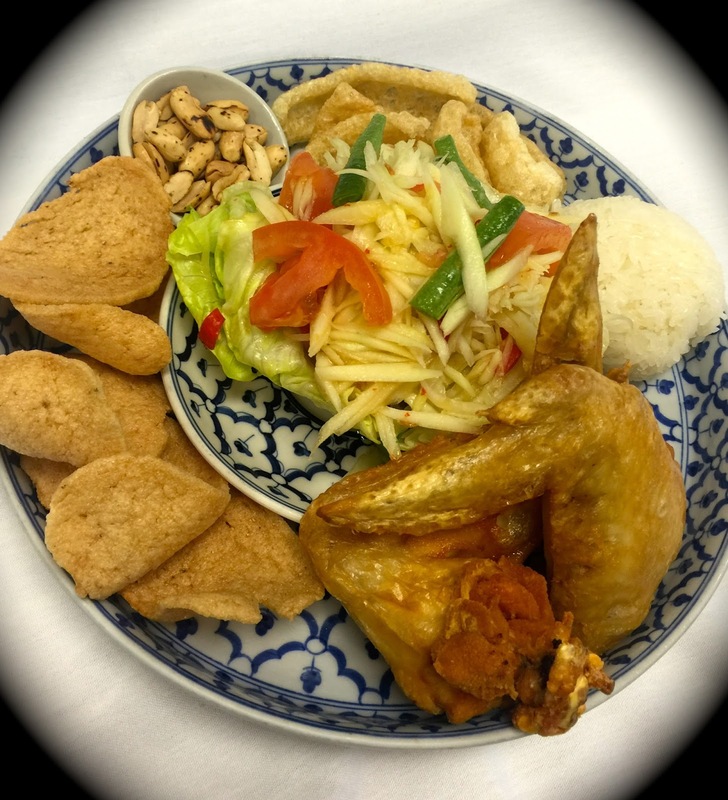 Each platter is loaded with Rabieng's cool & fiery Papaya Salad and Esan (Northern Thai) favorite fixins' of pork rinds, shrimp chips, roasted peanuts & sticky rice- how cool is that?! We're not done yet- customize each platter with your favorite protein: Soft Crab Tempura, Grilled Shrimp, Fried Calamari, Crispy Wings, Moo Yaw (Thai Spam), Esan Sausage, Jerked Beef, Grilled Quail. Come enjoy the best Papaya Salad outside of Esan, only @ Rabieng!